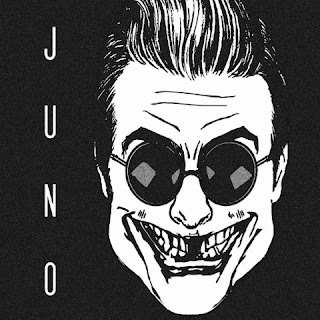 Juno is the new single from Kent four-piece Salvation Jayne, following on from their well-received Moves That Make The Record Skip EP that was released earlier this year. Accompanied by a predominantly live performance video, the song is a big, bold rock song with a hint of glam to it. The great thing about Juno is its complete lack of pretension. It wears the band's rock influences on its sleeve like a badge of pride, not afraid to smack the listener right between the eyes with an onslaught of guitars as it hits the chorus, but bringing things back down for the verse to prepare for the next attack. It allows the power in Chess's lead vocal to shine through and hammer home the "get yourself together" message of the song. Salvation Jayne are Chess Smith on vocals, Holly Kinnear on guitar, Dan Lucas on bass and Tor Charlesworth on drums. They play the following live dates : London Old Blue Last (November 29), London NME Presents Camden Monarch (December 13), Folkestone The Harp Restrung (22), London Camden Unicorn (March 10), London Sebright Arms (April 5) and Brighton Green Door Store (7). Salvation Jayne's official site can be found here and they are on Facebook and Twitter.